Facebook users upset about the e-mail addresses they listed on the social networking site being suddenly changed have something else to fret about: Altered address books and missing e-mail messages. 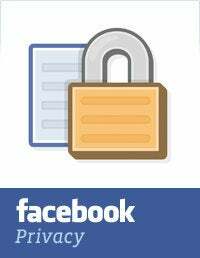 The latest gripe with Facebook to light up the blogosphere apparently affects people with mobile devices or other software that synchronizes their address book with their Facebook contacts. Last week, Facebook users learned the company quietly changed the e-mail addresses displayed on their Timeline pages to a @Facebook.com e-mail address. On Twitter and in Facebook's community forums, users expressed outrage that Facebook seemingly made the change without letting them know first. Now there might be more cause for concern. CNET’s Violet Blue posted a slew of complaints and warnings about the new problem from around the web. One Adobe employee wrote in her personal blog, "Today, a co-worker discovered that his contact info for me had been silently updated to overwrite my work email address with my Facebook email address. He discovered this only after sending work emails to the wrong address. And even worse, the emails are not actually in my Facebook messages. I checked. They've vanished into the ether." Apparently the e-mails were lost even though on Facebook she switched out the @Facebook address with her correct one. Blue also asserts that "automatic altering of users' contacts without notification was, in fact, disturbingly actually built into Apple's new iOS 6 Facebook integration: Facebook for iOS will change address books without any warning." In fact, she points to a post on Hacker News in which one person using an iOS 6 preview complained that the primary e-mail addresses of his or her contacts were changed. Maybe so, but iOS 6 isn't due for release until fall, so my guess is Apple will take out any such problem. Unlike Facebook, Apple is usually adept at keeping its nose clean when it comes to privacy and keeping users happy. In the meantime, if you're worried about losing e-mail you should inspect or remove anything that syncs your contacts with Facebook. And to change your e-mail address in Facebook, go you your Timeline, click "About," then the "Edit" link next to the "Contact Info" box. It's unclear how widespread a problem this is. I'm a heavy Google user and whenever a change is made with one of my contacts it's synced between my computer and Samsung Galaxy Nexus phone. I haven't had any problems with lost e-mail and my Facebook address was changed just like everybody else's. So is the whole thing being blown out of proportion? Or am I immune because I use Android 4.0? Chime in, if you will. If you've had a problem, please share in the comments what happened as well as what apps or software you think might be involved. One thing is clear: Facebook has ticked off users again by implementing a widespread change without giving clear notice. While the company said the e-mail change was not unannounced, its notice came by way of a four-sentence press release issued by Facebook in April. Tired of Facebook's shenanigans? There's always Google+.